When I was growing up in 1970’s and 1980’s Israel, it was axiomatic that Israel won the wars and lost the peace. Every few years, Israeli men left their jobs, their wives and their children and gathered in pre-determined collection points to get their uniforms and their guns. The belt had to be loosened up a bit every year, but the old rifle was an old friend and the seat in the tank felt like you’ve never even left. There was some catching up to do, after all a few months have passed since the last time we saw each other on reserve duty, a lot of smoking, stashing of “supplies”: coffee, sugar, some home-baked cookies. And off we all went, to fight the Arabs. And we always won. A few of us never made it back, but we won. We did our job, but then the politicians gave it all away. In the aftermath of the Yom Kippur war we were in Africa and between us and Cairo there was nothing. In Syria, we could have been in Damascus in les than six hours. And yet, the propaganda war after the war was bungled up and the Arabs were allowed to claim victory. In the First Lebanon war we took Beirut, but the politicians allowed the mass murderer Arafat to escape to Tunisia with his upper echelon of war criminals, only to bring them to Judea and Samaria and Gaza a decade later so they could continue slaughtering Israeli civilians from an even more advantageous position. Economically, Israel stagnated, just barely surviving from one glorious battlefield victory to the next. But the massive repatriation of Soviet Jewry when that country finally collapsed, the coming of age of the semiconductor industry, and the loss of political power in Israel by the socialist old guard created, finally, the conditions for Israel to start winning the peace. Over the last three decades Israel has grown and developed to become a world leader in high technology and entrepreneurship and joined the ranks of the most developed nations by most measurable criteria. And the Arabs? They only became poorer, less educated, more radicalized, and more violent. Repeated attempts by the Arabs to disrupt Israeli economy by criminal rocket fire on population centers, while incredibly painful, failed to hurt the Israeli economy and may have had the contrary effect of strengthening it by making Israel the undisputed world leader in defensive anti-missile technologies. History teaches that when one side in the conflict wins both the battlefields, the wartime one and the peacetime one as well, it is inevitable that it consolidates its victories at the expense of the losing party. This is what is about to transpire in the Middle East. Recently concluded elections all but eliminated the old guard of the Israeli left. There is no one left to offer one-sided “concessions” to the Arabs out of misguided feelings of guilt for “taking their land”. One hundred out of 120 members of the new Knesset, more than 80%, want peace, but only on terms that enshrine forever Israel’s victories and honor the sacrifice of those who made them possible. After the new coalition government is formed in the coming weeks, president Trump will unveil his “Deal of the Century” peace plan for the Middle East. It will be a take it or leave it deal for the Arabs. In it, they will get their state in all of Gaza and in more than 90% of Judea and Samaria and they will get parts of East Jerusalem as their capital. Their state will have to remain demilitarized, Israel will retain security control of the Jordan valley and there will be no “right of return” for Palestinian “refugees”. There will be a massive foreign aid package, mostly from the Gulf, and likely some solutions for Palestinians living in the Gulf states and possibly in Jordan. The right wing parties in the Israeli government will scream and yell, but it will be ineffective, because everybody knows that the new Blue and White party with its 35 Knesset seats will be more than willing to jump into a “national unity” government with the Likud to allow the peace deal to go forward. Netanyahu will offer some meaningless “reservations” to the Trump’s deal, but it will be for theatrical value only. Israel will be a yes. The Palestinians, however, will be a no, just like they always have been when these same terms and better were offered to them by Ehud Barak and Ehud Olmert. There is simply no way that the Palestinians can sign a deal with Israel that releases it from any further claim by them or their descendants and forever seals their dream of one day looting Haifa and Tel-Aviv and slaughtering their Jewish inhabitants. So after much theater and drama and unfortunately an inevitable round of terror, both on the ground and via rocketry, bringing on its heels the usual Israeli retaliation, a new era will finally dawn. 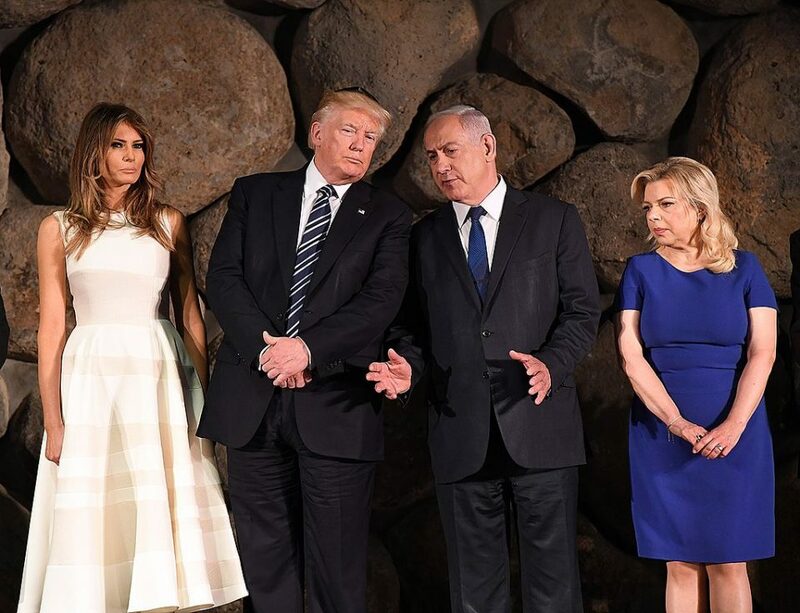 In this new era, Israel will proceed, with America’s support, to consolidate the gains it has made in seven decades of incessant fighting and winning. Israel will annex the territories in Judea and Samaria over which it has both civilian and military control according to the Oslo accords, the so-called “C” territories. The situation in Gaza and in the “A” and “B” territories will remain unchanged. Gaza will be ruled by the criminal Hamas gang and the non-Israeli territories in Judea and Samaria will be ruled by the equally criminal Fatah gang. Israel will have to deal, as it has always done, with its criminal neighbors and divert resources and precious lives to that thankless and dirty task, but this will not hurt its economic success or general wellbeing. Seen from above, Israel and the Palestinian territories will appear as a big city, a city in which there are very nice neighborhoods and just so-so neighborhoods and really bad neighborhoods that nobody ever goes to. This may not be the outcome that will give Trump and Netanyahu the Nobel Peace Prize, but it is a totally fine outcome for Israel and likely the best possible outcome for the Palestinians. Of course, the Palestinians and their enablers and sympathizers in the Arab and Muslim worlds and beyond will continue their campaign of shrill shrieks and boycotts and terror, but it will simply be drowned, as it really is already, in the white noise of human affairs. Some things cannot be fixed, the world moves on. The Hi-Tech Traditionalist: Is Trumpism America’s Zionism? Turkey Elections – Are They Really A Setback For The Ruling Party?